It's not just the speed of your subject that counts, it's where you stand and the angle you shoot from. 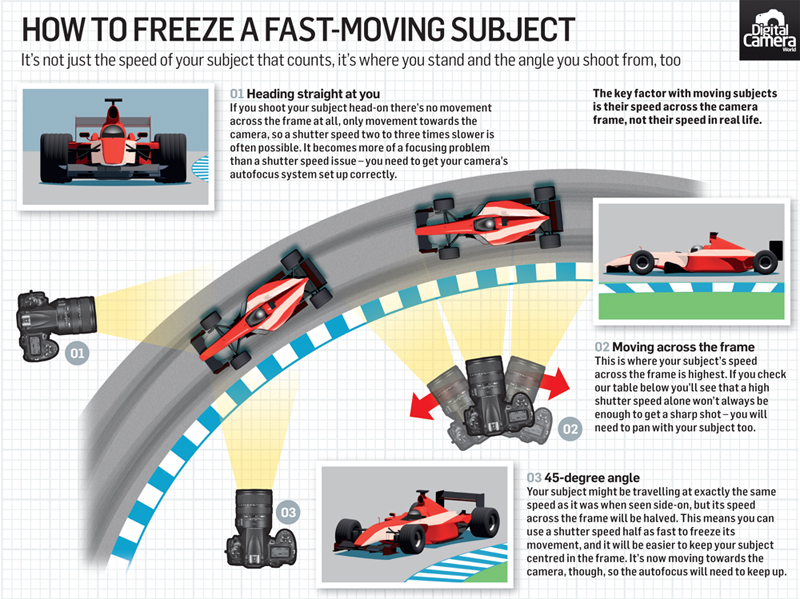 Discover how to shoot fast-moving objects like a pro with our new photography cheat sheet! Are you paying enough attention to your camera's shutter speed? Or do you just check it's fast enough to avoid the risk of camera shake, and then ignore it? That's the wrong attitude! Photographers work very hard to get their subjects perfectly sharp, and to create just the right degree of background blur in their images, but it's a mistake to imagine that focusing and lens aperture are the only controls that count. 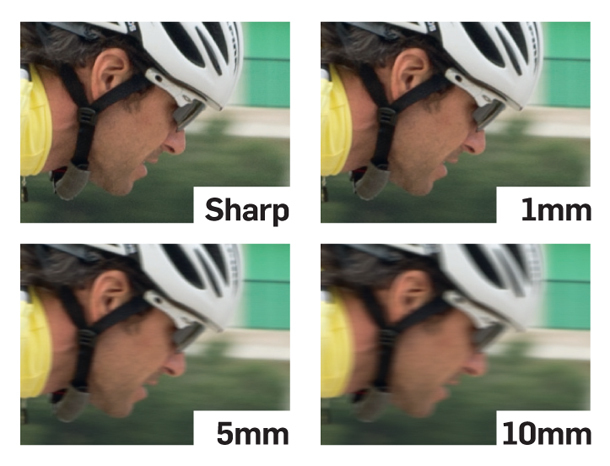 In fact the shutter speed plays an equally important part in controlling sharpness. The lens aperture can control the sharpness with depth, but the shutter speed does the same thing with an entirely different dimension - time. If you're photographing an object that's still, the shutter speed may not be a factor, but most everyday subjects show some kind of movement, and this is where your shutter speed becomes important. For action or sports photography, you might want to freeze your subject to eliminate any movement. When you're working out what shutter speed you need, many factors come into play, such as the speed your subject is travelling at, its distance and the angle you're shooting from. For some subjects, such as a speeding race car, there may not be a shutter speed high enough. That's why action photographers 'pan' with the subject to keep it centred in the frame. It's the subject's speed across the frame that causes the blur, not its speed in real life, and following your subject in the viewfinder is the secret to pin-sharp shots. In the cheat sheet below we'll show you how to shoot fast moving objects depending on where you're standing and the angle you're shooting from. Sharpness depends on just how far the subject moves during the time of the exposure. For a typical action subject such as a bike or car you need the subject to have moved less than 2mm for a sharp shot, and less than 10mm for it to be worth keeping. Here, we've simulated 1mm of movement. The cyclist is slightly soft, but you could easily sharpen it. With 5mm of movement the blur becomes visible without zooming in. It's probably acceptable, with sharpening. The blur is too bad to fix and this shot would have to be rejected.